Okay, so I'm secretly obsessed with Valentine's Day. I'm not really a huge holiday person honestly but it gets me every year when stores start filling up with all the cute heart things. As if the Target dollar spot could even get any more tempting! 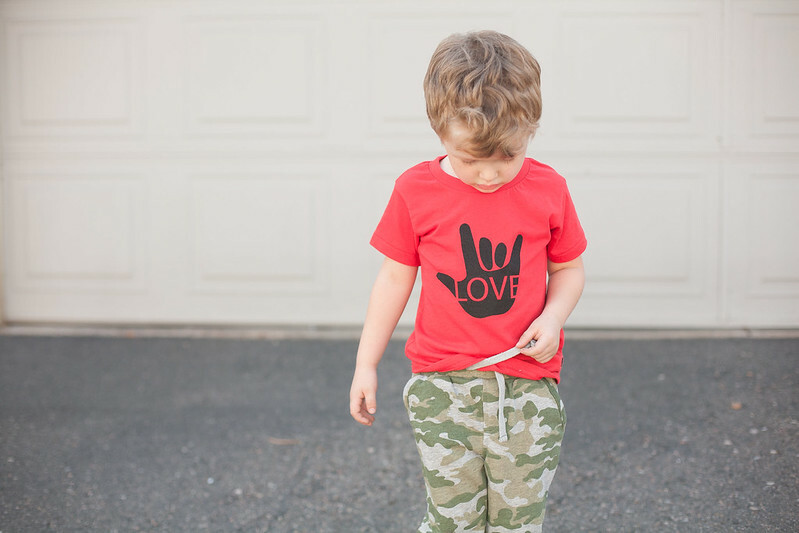 FamLove Clothing sent us this adorable tee shirt and it's absolutely perfect for Asher to wear this year for Valentine's Day! I love that it has the sign language sign for "I love you." 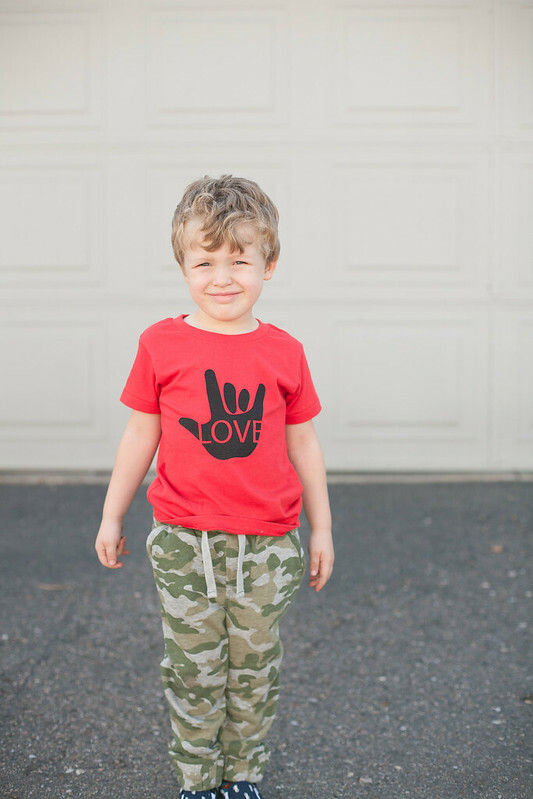 We taught both of our boys some sign language when they were babies and the "I love you" sign has lasted all of these years and they still use it to this day. FamLove is a family owned brand run by 3 cousins whose mission is to spread positivity and love through trendy clothes! Their shirts are super soft and high quality and of course absolutely adorable. You can use my code: bygillianclaire to get 20% off your purchase! 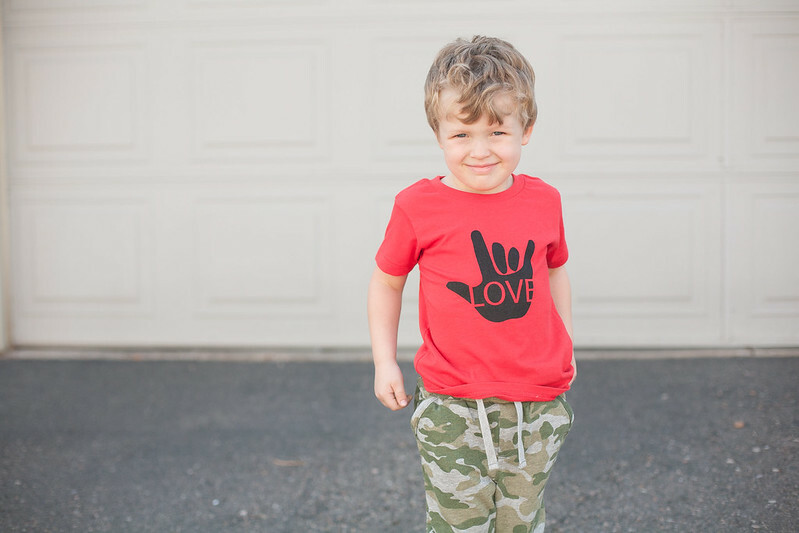 and grab one of these adorable shirts for your little one's Valentine's Day. *I received this shirt for free as part of my work as a Brand Ambassador for the FamLove Clothing brand. I never accept clothing from or support brands that I do not honestly admire and love! The Target dollar spot has been beyond amazing lately! And you're right...it was great at Valentine's Day! I haven't been in several days and need to make a trip there. Last time the shelves were bare. I love the shirt!! 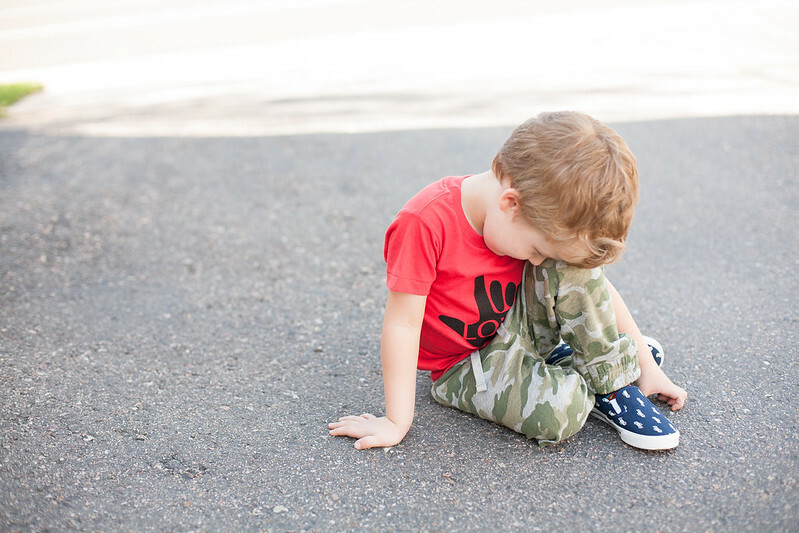 And Asher is adorable as always.